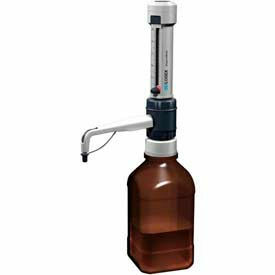 SCILOGEX Bottletop Dispensers Are used For Dispensing A Particular Quantity Of A Liquid Accurately Without Drips Or Spillages. SCILOGEX Bottletop Dispensers are made for long lasting durability and dependability. Fully autoclavable at temperatures up to 121°C, allowing thorough sterilization. Offer quick and precise volume adjustment with an anti-drip cap to prevent accidental discharge. Easy to clean, and come supplied with a specialized tool to help with simple maintenance procedures. Resistant to the most corrosive liquids and acids, which means that even 70% nitric acid or 98% sulfuric acid can be dispensed safely. Come supplied with a full range of adaptors. Accuracy is ±0.5%, with a precision of ±0.1%. Available in 0.5 to 5, 1 to 10, 2.5 to 25 and 5 to 50 ml. volume capacities. SCILOGEX Serological Pipettes Are Used For Various Laboratory Liquid Measurement Applications. SCILOGEX Serological Pipettes are made for long lasting durability and dependability. Manufactured from optically clear polystyrene in a class 100,000 clean room. 1, 2 and 5 ml. pipettes are a one piece construction and 10, 25 and 50 ml. pipettes are made with an ultrasonically welded 3 piece construction. All are printed with bold clear bi-directional graduations and markings. Graduations are calibrated for accurate dispensing to within ￂﾱ2%. Include color coded stripes for quick volume identification. All pipettes are Gamma irradiation sterilized, RNase-free, DNase-free, DNA-free, and Non-pyrogenic. Individually wrapped in sterile, easy to open paper/plastic packaging including color coded print and large volume numerals for quick and easy volume identification. Packaged in convenient color coded shelf packs that facilitate dispensing through a perforated end panel. Each pipette wrapper includes the lot number. Available in various graduation types and bulk bag quantities. SCILOGEX Levo Manual Pipette Controllers And Fillers Offer Precise Control For 1-100 Ml. Pipettes And More. SCILOGEX Levo Manual Pipette Fillers are made for long lasting durability and dependability. 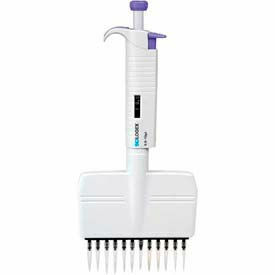 Easy to use serological pipette controller for use with 1-100 ml pipettes. Simply attach a pipette into the silicone holder and squeeze the bulb when ready. Thumb lever controls both the aspirate and dispense speed. Central button blows-out any remaining drops in the pipette. Easily replaceable 3um hydrophobic filter prevents liquids from contaminating the inside of the Levo. 50 ml of liquid can be pipetted from one squeeze of the bulb. Available in Red, Pink, Green, Blue and Yellow color. Levo Plus Motorized Pipette Filler can fill a 25 ml. pipette in 5 seconds. Comfortable concave touch sensitive triggers for fine speed control. LCD display that shows battery charge and coarse speed setting. Lightweight ergonomic design. 8 hour continuous use per charge. Gravity dispense, with blow-out for TD pipettes. 0.45um and 0.2um hydrophobic filters. Autoclavable nose-cone. Powerful lithium-ion battery. Can be used while charging. SCILOGEX Pipettors And Pipettes Are Used For Efficient And Rapid Filling Of Microplates. SCILOGEX Pipettors And Pipettes are made for long lasting durability and dependability. Lightweight and ergonomically designed for greater comfort in cases of repeated use. Incorporate clear digital displays. 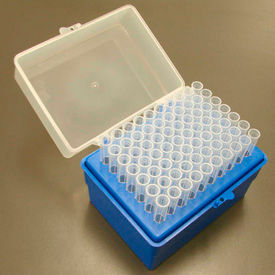 Can be used with universal pipette and micropipette tips for greater convenience and to reduce overall running costs. Easy to calibrate and maintain with specially-designed tool supplied with each instrument. Various Single Channel, 8-Channel and 12-Channel models are available for Fixed or Variable volumes of .1 to 5000 UL. Universal Fit Pipette Tips Are Used For Hospitals, Laboratories, Doctor’s Offices And More. Universal fit pipette tips are made of polypropylene for long lasting durability. Pipette tips standard size allows for various pipette model compatibility. Available in sterile and non-sterile models. Available types include MicroPette Universal Pipette Filtered Tips and MicroPette Universal Pipette Tips. Volumes range from 0.1 - 10 ul to 1000 - 5000 ul. Colors are Clear and Yellow. Package quantities are 100/Pack, 1000/Pack, 768/Racked and 960/Racked. Dimensions vary per model. 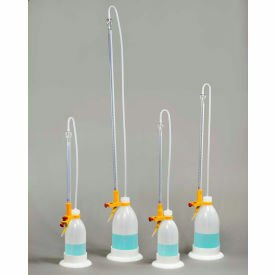 Bel-Art Automatic Burettes Allow For Accurate Measurement Of Liquid Volume. Bel-Art Automatic Burettes are made using polyethylene and feature easy-to-read blue graduations against a white background. Plastic pushbutton stopcock allows drop-by-drop delivery, with a screw clamp to adjust drop speed. Available in capacities ranging from 10mL up to 50mL. StepMate Repeater Pipettor And Syringe Tips Are Used For Hospitals, Laboratories, Medicine And More. StepMate repeater pipettor and syringe tips are made of polypropylene for long lasting durability. 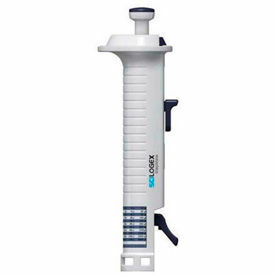 Repeating pipettors are designed to transport a measured volume of liquid serving as a media dispenser. 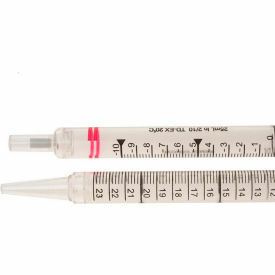 Syringe tips standard size accommodates all repeating pipettor styles. Absence of lubricants and chemical additives prevent reagent contamination. Sterile tips are individually wrapped and certified endotoxin, DNA, RNase, and ATP free meeting sample integrity requirements. Available in sterile and non-sterile models. Available types include Repeater Pipettors and Syringe Tips. Volumes range from 0.5 - 5000 ul to 50 ml. Colors are Clear and White. Dimensions vary per model.